VENICE, Fla. — About a hundred residents gathered at Venice City Hall on Monday morning to get information about red tide. Mote scientists were on hand to present the information to the city council. “Red tide events are naturally occurring and will occur throughout history as long as we can see,” said Dr. Michael Crosby. 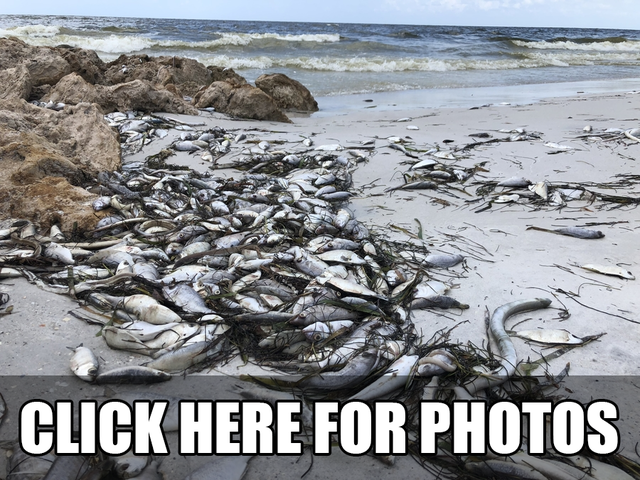 Scientists said red tide is hard to predict. They also said there is no correlation between red tide and the water releases from Lake Okeechobee. There were protestors in the media who disagree with Mote scientists. Jocelyn Bavosa said she believes there is a reason why the red tide seems to be sticking around longer. “When will our state, when will get our act together,” said Bavosa. Mote leaders said they plan to ask the state legislator for more funding to combat red tide. Venice city leaders said they plan to support Mote on their mission.